The mission of St. Hedwig School is to inspire and guide our students in the harmonious development of their spiritual, intellectual, psychological, social, physical, and aesthetic gifts. In living out this mission, we strive to create a nurturing atmosphere. 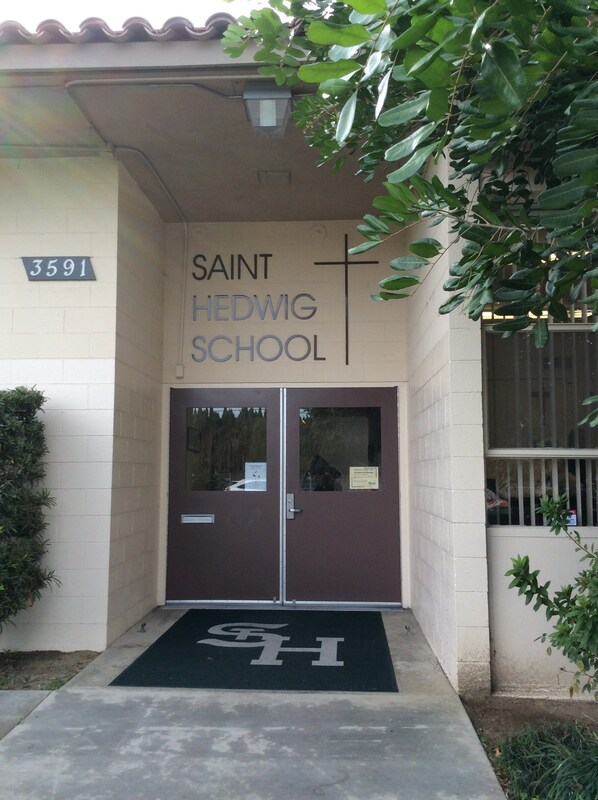 As a Community of Faith, we at St. Hedwig strive to create a Christ-centered environment. Our academic excellence and safe school environment inspires and guides the students in the harmonious development of their spiritual, intellectual, psychological, sociological, physical, and aesthetic gifts. The teachers do recognize that parents are the primary educators of their child. Parents and teachers collaborate with one another to facilitate the development of the whole child. The truths of our faith are integrated into all curriculum areas. This provides a sequential teaching of Catholic doctrine, which is grounded in faith and presented as a relationship with Christ and with one another. Students are encouraged to grow in appreciation of the fact that they are created in God's image. They are challenged to recognize, develop and celebrate the uniqueness of their gifts. Students use these gifts to interact with all members of the school community and by reaching out to local, national and global communities. The St. Hedwig Faith Community grows in its identity in Christ by providing opportunities to come together to worship God and celebrate their faith during the liturgical year.